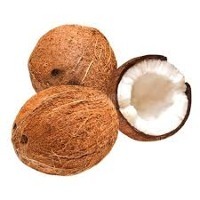 Browse fresh-coconut suppliers by country and region. 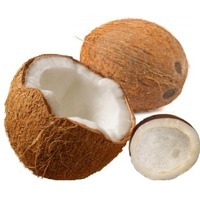 It is believed Coconut originated in the Pacific Islands, however, today its grown in all tropical countries. 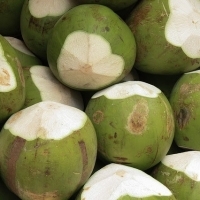 7 of the top 10 coconut producing countries are located in the region of Southeast Asia.. The coconut, as we know it, arrives without the outer covers, which are removed at the origin. 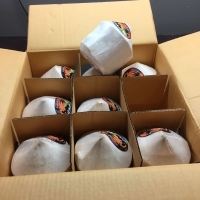 Thus the coconuts, which are commercialized, arrive with only the "central bone". 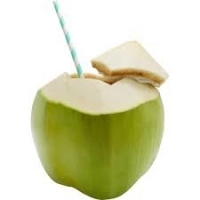 The taste of the pulp is reminiscent of the nut, while coconut milk has a bittersweet flavor. There are different types of coconut trees, Giants, Dwarves and Hybrids. 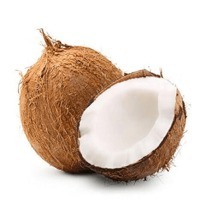 The composition of the coconut varies as it cools. Water is its main component followed by fats. Its caloric value is the highest of all fruits. It contains fiber, calcium, potassium, phosphorus, folic acid, vitamin B6, E and C. Coconut water is considered a natural isotonic drink. 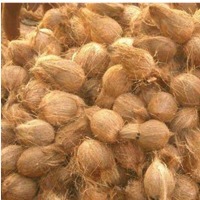 Our Coconut are sourced from growers in Thailand, India, Philippines and Indonesia. Short on time? 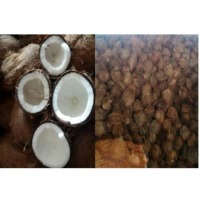 Let fresh-coconut sellers contact you. 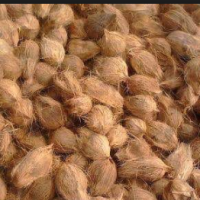 Semi Husk Coconut * Semi Husked Coconut is enriched with vital minerals such as zinc, iron and phosphorus. 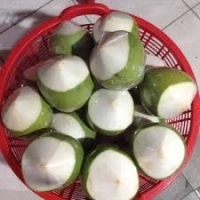 The pulp of the Semi Husked Coconut has low sugar content but contains good amount of protein, higher than what is present in nutritional fruits like oranges, apples, etc. 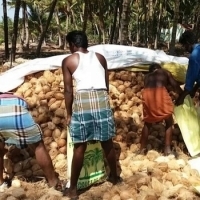 Budansons Agro Exports brings forth Semi Husked Coconut cultivated by experienced agriculturists who follow organic farming practices at pocket friendly prices Fully Husked Coconut * The company offers a fine assortment of Fully Husked Coconut. 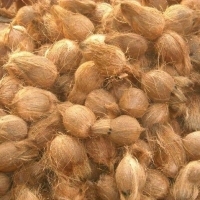 A tropical fruit, Fully Husked Coconut is a vital source of protein and is consumed to cure illnesses related to kidney and urinary bladder. 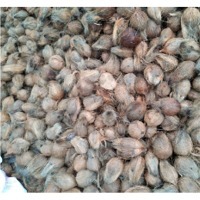 Clients can avail organically cultivated and properly tested Fully Husked Coconut from us at competitive price Mature Coconut * Mature Semi Husked Coconut * Dry Coconut * Dessicated Coconut * Ball Copra Budansons Agro Exports Shipping : By Air and Sea Packing : By Air- 5 kg Box / As per customer requirement. 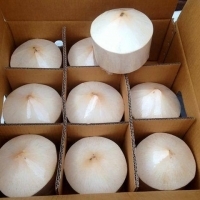 The Semi Husked Coconut that we provide is appreciated by the consumers for its zero decay quality and is properly packed in tamper proof packaging for retaining its purity and freshness.Rakkayi Exports is an eminent manufacturer, exporter and supplier of Coconut and Alied products. 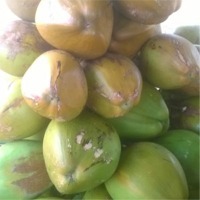 Fresh young coconuts direct from our farms, year round available. 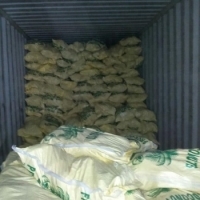 Selling per container 40 ft. Can be private label, with jacket, without jacket.